In less than a century Beth Israel, once a tiny hospital, has grown from relative obscurity into an internationally recognized medical center, one of the best institutions not only in Weequahic but also in Newark and New Jersey. The merger of the Daughters of Israel Association and the Hebrew Hospital and Dispensary Association resulted in the October 25, 1901, incorporation of Newark Beth Israel Hospital, 'a volunteer non-profit facility that limited its welcome to no race or creed or class…'. The hospital's original home at High and West Kinney streets, which had 21 beds, gave way by 1919 to an 84-bed hospital, then expanded to 110 beds. Growth continued in 1923, when ground was broken for the large building at Lyons and Schuyler avenues, marked by the familiar 12-story tower. The 350-bed hospital, costing more than $3 million, became a Weequahic landmark. In 1968, the name was officially changed to Newark Beth Israel Medical Center. In 1969, the hospital became affiliated with the University of Medicine and Dentistry of New Jersey when it entered into a joint program of biomedical and clinical research. 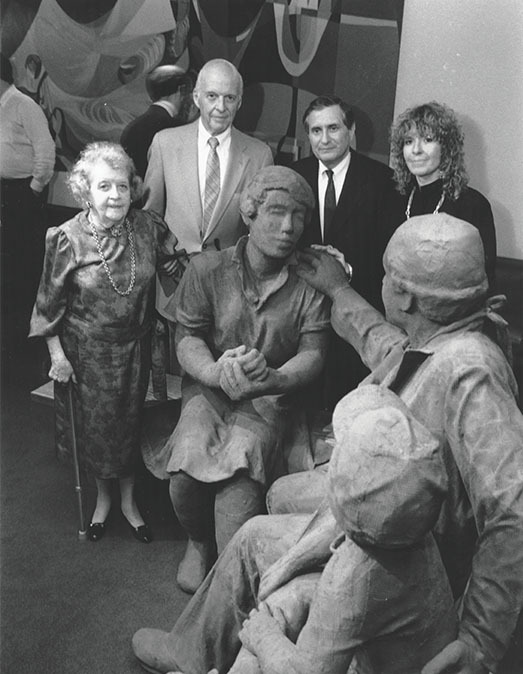 In 1984, Beth Care for neighborhood families in the South Ward of Newark was established. In 1994, a three-level outpatient building opened at 156-176 Lyons Avenue. And in 1995, a new dentistry department was dedicated. 'The Beth' wrote state medical history when it established New Jersey's first pediatric dialysis center. It also was the site of the world's first dual-chamber operation pacemaker. In 1986, New Jersey's first heart and lung transplants were performed there. Additionally, the state's first electrophysiology program was established at The Beth. It also became home to New Jersey's only poison control center, and was responsible for the state's first extra-corporal membrane oxygenation. In 1996, Beth Israel Medical Center became affiliated with the St. Barnabas Health Care System, making it 'the largest integrated health- care delivery system in New Jersey alone, with eight hospitals, six nursing homes, five ambulatory care facilities, three geriatric centers, a freestanding 100-bed in-patient psychiatric facility, and a statewide behavioral health network. The medical tradition that borders on legend at The Beth is attributed to the work of many dedicated men and women. A few should be mentioned. The early pioneering work of Dr. Max Danzis and Dr. Victor Parsonnet played a key role in the hospital's early days. Continuing the Parsonnet family tradition were Dr. Eugene Parsonnet, former president of the medical staff and developer of New Jersey's first hospital residency program, and Dr. Aaron Parsonnet, who wrote a landmark book on electrocardiology in the 1920s. Dr. Victor Parsonnet has continued his family's medical dynasty, which is so closely associated with Newark Beth Israel Medical Center and its fine national reputation. Today, Parsonnet is director of the hospital's Pacemaker Center as well as director of surgical research at the center. A resident of Millburn, he completed his surgical internships in Boston and New York as well as here at The Beth. He has received many nationally prestigious awards and has served as president of the New Jersey chapter of the American College of Surgeons. He has served on many editorial boards, written more than 500 articles and four books on medical subjects, produced many medical tapes and teaching films, and taken part in more than 650 meetings, lectures, and medical presentations. During his distinguished career at The Beth, Parsonnet has been largely responsible for making it a world-class medical institution.